Tendulkar — an avid Maradona fan sent over a self-autographed soccer ball to the organizers, which was handed over to the Argentine during his weekend Kolkata trip. Sachin Tendulkar was not able to catch up the legendary Diego Maradona, but he did send a token of remembrance across to Maradona. Tendulkar is learnt to have personally handed over the football to CPI(M) parliamentarian Shamik Lahiri, who played a key role in organizing Maradona trip. 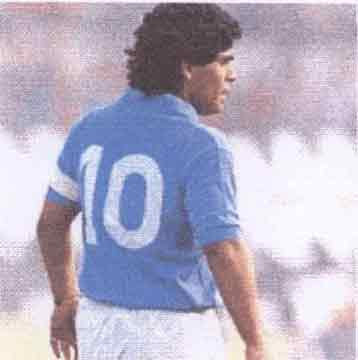 Lahiri, in turn, handed over the football to Maradona, and gave him a lowdown of how big Tendulkar is in Indian sports. Interestingly, Tendulkar had specifically requested organizers to keep the news under wraps and not publicise it. Meanwhile, the organizers are still clueless over Sourav Ganguly absence from Saturday’s exhibition match. “We had invited Sourav, and we were surprised to see he couldn’t come over. Sourav is an ardent football fan and he would have loved it,” one of the organizers said.